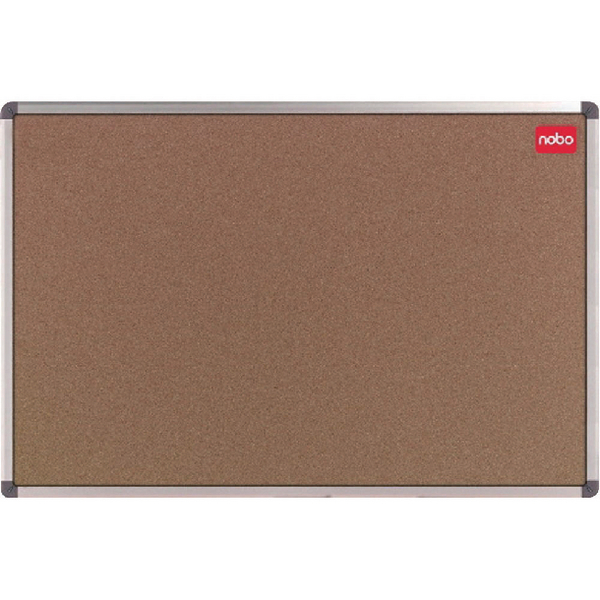 Nobo Cork Classic 1200x900mm Noticeboard 1900920 – NB11218 – OfficeYoo! The Nobo Classic Cork Notice board (1900920), made from natural cork, is a great complement to a traditional office environment. The smart aluminium frame features coloured corner caps that cleverly conceal the wall fixings. Each notice board comes with a fixing kit for easy installation. The cork surface measures 1200 x 900mm and is suitable for larger offices or departmental notice boards. The self-healing cork makes it ideal for frequent pinning and unpinning of posters.